This website uses a third party tracking service provided by R.L. Polk & Co. to collect non-personally identifiable online demographical and behavioral data generated by website visitors. A data collection script provided by this service and installed on our website collects the following kinds of data: all your website session activity, including your personally identifiable information when entered into a form field such as name, phone, email, or when you arrive at our website through a link containing a unique identifier; links that you click, pages that you view, form fields that you select, and text fields that you enter. device, provided your device allows you to do this. See your device manufacturer’s instructions for further details. How Does Rick Hendrick Buick GMC Duluth protect my personal information? To protect your personal information from unauthorized access and use, we use security measures that comply with federal law. These measures include computer safeguards and secured files and buldings. 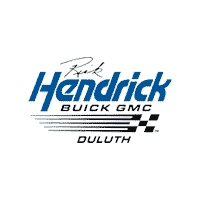 How does Rick Hendrick Buick GMC Duluth collect my personal information? State laws and individual companies may five you additional rights to limit sharing.